Last month, we reported that the Maniac Cop remake is gearing up to start production next spring, with John Hyams (Universal Soldier: Day of Reckoning) set to direct and filmmaker Nicolas Winding Refn on board as a producer. While we still have several months before filming will begin, Bloody-Disgusting spotted the first sales artwork for the remake at the American Film Market in Santa Monica, California. There are no cast members attached so far, but the poster teases the gritty look that the filmmakers intend to deliver. The original Maniac Cop is set in New York City, following a string of grisly murders that eyewitnesses say were committed by a cop. Tom Atkins plays Frank McCrae, who heads up the investigation that eventually points to a young police officer named Jack Forrest (Bruce Campbell), who was set up by the real killer and a mysterious woman. Both Frank and Jack, along with Jack's girlfriend Theresa (Laurene Landon) team up to find this killer before he strikes again. The late Robert Z'Dar played the title character, a cop who was brought back from the dead and killed anyone seeking his help. It isn't known if Tom Atkins, Bruce Campbell, Laurene Landon or other supporting cast members such as Richard Roundtree and William Smith will be involved in the remake or not. The film only earned $671,382 at the box office during its theatrical release, but it went on to become a cult classic. It spawned the sequels Maniac Cop 2 in 1990 and Maniac Cop 3: Badge of Silence in 1993. John Hyams is directing from a screenplay by Ed Brubaker, with Nicolas Winding Refn producing alongside William Lustig, who directed all three original Maniac Cop movies. The remake is budgeted between $5 million and $6 million, and will shoot for 25 days in New York City sometime next spring. Maniac Cop doesn't have a distributor lined up at this time, but we'll keep you posted if a studio picks up this project. John Hyams most recently directed nine episodes of the Syfy series Z Nation, and he also directed the straight-to-video sequels Universal Soldier: Regeneration and Universal Soldier: Day of Reckoning. 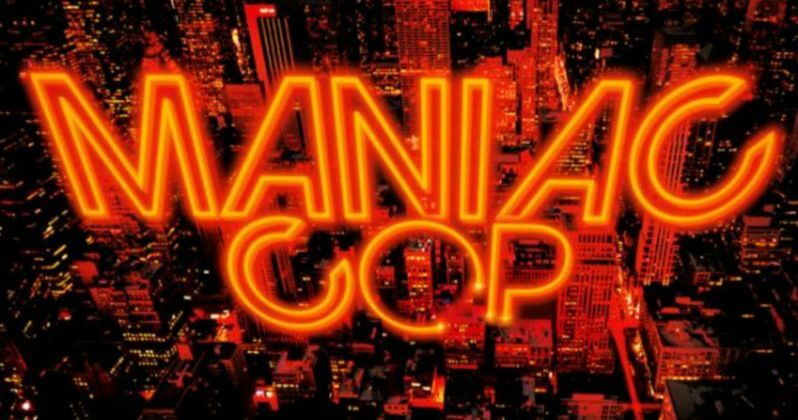 It isn't known if casting has begun on Maniac Cop at this time, but we'll keep you posted as we get closer to production starting next year in the Big Apple. In the meantime, take a look at this Maniac Cop artwork below, and let us know what you think.